SMART TECHNOLOGY FOR ADVANCED DIVES. The handy, lightweight ECOS is the ideal companion for all types of diving. You can take this flyweight DPV with you anywhere. 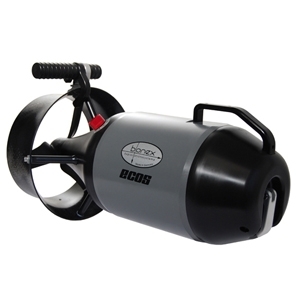 The Ecos is particularly popular with wreck divers because it is easy to lift in and out of the boat. It is also a helpful tug in strong currents, thanks to its powerful motor.